Audi has announced that it will build its upcoming all-electric SUV in Belgium. The German carmaker says it will dedicate an existing plant in Brussels to the new electric model, which will start production in 2018. The Brussels factory will also build the SUV's battery pack, with lithium-ion cells supplied by Samsung SDI and LG Chem under a previously-announced agreement. 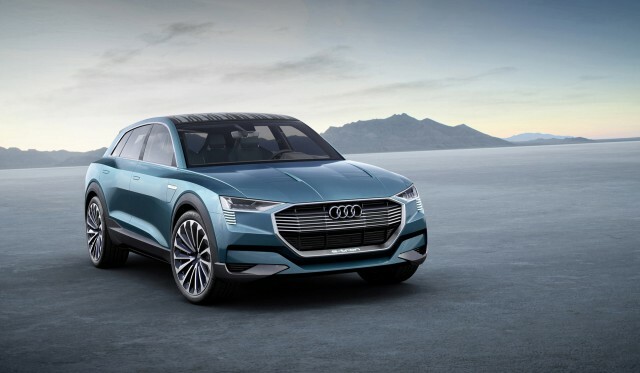 Audi has said the production model will be heavily influenced by the e-Tron Quattro concept that debuted at the 2015 Frankfurt Motor Show last fall. It now appears that the electric Audi model will not be named Q8, as we had recently reported based on a comment made by Audi CEO Rupert Stadler at the Detroit Auto Show. 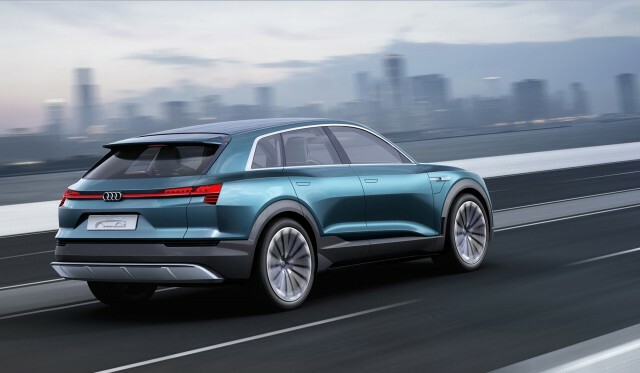 "The Q8 is the upper luxury SUV; the battery-electric SUV foreshadowed by the e-Tron Quattro Concept has not been named yet," Audi's Mark Dahncke told Green Car Reports. It was previously assumed that the electric SUV would be a "crossover coupe" counterpart to one of Audi's conventional utility vehicles. The German luxury brands tend to move in lockstep, and right now Audi doesn't have a competitor to the BMW X6 and Mercedes-Benz GLE Coupe. The styling of the e-Tron Quattro concept certainly indicates that Audi is aiming for those models. It features a low, coupe-like roofline, and other details meant to maximize aerodynamic efficiency. It also boasts a 95-kilowatt-hour battery pack and three electric motors--one at the front, and two at the rear--providing a total of 496 horsepower and 590 lb-ft of torque. Audi claims a range of 310 miles for the concept on the European NEDC test cycle, with a comparable EPA range estimate being 20 or 30 percent lower. It will aim for similar performance with the production model. The Brussels plant that will soon be dedicated to electric SUV production currently builds the Audi A1 subcompact. Production of that model will be shifted to an Audi plant in Martorell, Spain. With onsite battery-pack production, the Belgian facility will become a "key plant for electric mobility at the Volkswagen Group," according to Audi. Over the past few months, the VW Group confirmed two more luxury electric models. One is a production version of the Porsche Mission E sedan that debuted alongside the e-Tron Quattro in Frankfurt. It will enter production "by the end of the decade," Porsche has said. Volkswagen will also build an electric version of its Phaeton luxury sedan within roughly the same timeframe.